We taking riders and auditors on waiting list. Those on waiting list will have priority sign up for future courses. Arrival! 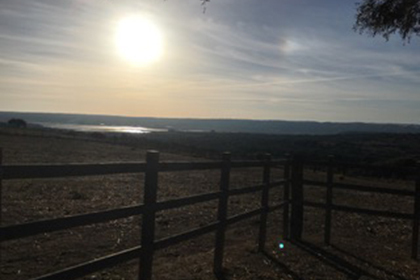 Participants will be collected from the airport and driven to the Cortijo where they will be given a tour of the buildings, introduced to the horses…not to mention the donkey, goats, dogs, cats, chickens, ducks, geese, ect! 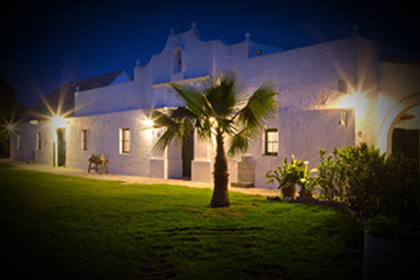 After we settle in, we will meet at the Main Hall at the Cortijo. There, we will meet the team that will be with you for the rest of the week!!! We will then head into the one of the most beautiful towns in Southern Spain, Vejas, that is famous for their seafood and kick off our week of learning. Optional morning yoga session at 8 am followed by a traditional breakfast. We will then go and meet our horse partners for the week, and spend some time getting to know them on the ground with Kelly Patterson. Afterwards, we will have a light lunch followed by a demonstration at the main arena of Vaquero Horsemanship- Spanish Horsemanship on the Campo. (Traditional Demo with obstacles and the Garrocho pole) How can we do this naturally? Lecture and Q & A: History and development of Vaquero Horsemanship…How did the breed develop for this type of horsemanship…and how has it changed over time? After the demo/lecture, we will have the opportunity to see our horses again, and each of us will have a private lesson on our horses and a ride around the campo! Optional morning yoga session at 8 am followed by our traditional Spanish Breakfast! Afterwards, we will meet in the tack room, and have “show and tell” about the different types of tack used in the Vaquero style of riding. We will then have time with our horse partners, and private lessons focusing on the Vaquero style of riding. Schedule to follow (will run before and after lunch) Afterward, we will head to Vejer for dinner. Optional morning yoga session at 8 am followed again by our traditional Spanish Breakfast! 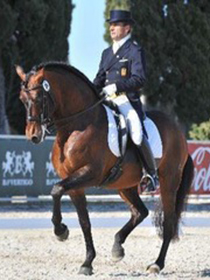 After breakfast, we will meet with Luis Lucio in the lounge and have a special lecture and Q & A on the PREs in Spain, Dressage and how we can do this Naturally. After the lecture, we will have a private lesson schedule- everyone will receive one private with Luis as well as one with one of the instructors of the Cortijo. Schedule to follow, and they will be staggered so you will have time to rest, watch and soak it all in. 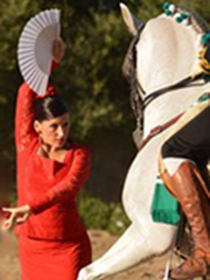 In the evening, we will have a special night where you will be treated to an amazing horse show of the best riders and their horses in the show arena of the Cortijo with the headline being horse dancing with Flamenco dancers, really a spectacular sight that is only done here in the far South of Spain. You will never forget this evening. BBQ type dinner with live local Spanish music. 8 am Yoga, Breakfast and Q and A with Luis! 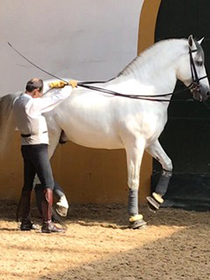 We will then have a special demonstration on Long Lining….building on the ground to the saddle with one of the professionals from the Cortijo team under Luis’ guidance. Lesson schedule with Luis and Instructors to follow! We will have a relaxing dinner under the stars. Transfer Day…. A sad day for all, after a great breakfast people will be transferred to Gibraltar with enough time for people to look around this interesting and historic place before checking into their flight for the flight home. Includes transfer to and from airport, lodging, all riding instruction, all meals except two out! Come early or stay late! 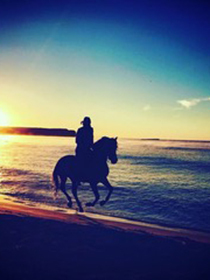 Go and relax on the beach, go for a beach ride, or we can organize a boating trip! Contact us for details to customize extra days!